The Sokkia 724252 Heavy Duty Wood Tripod offers a reliable high level perspective for your equipment. It has extension legs that easily slide to adjust the height from 45 to 70 inches. Each leg has dual clamp locks with heavy screws and lever for a secure hold and quicker setup. 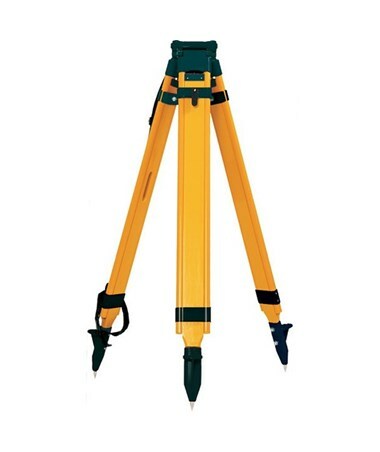 The pointed steel feet have extra-long spurs that hold the firmly on soil or concrete and prevents slipping. Affix any tool to the flat round aluminum head using its universal 5/8 X 11 threading. 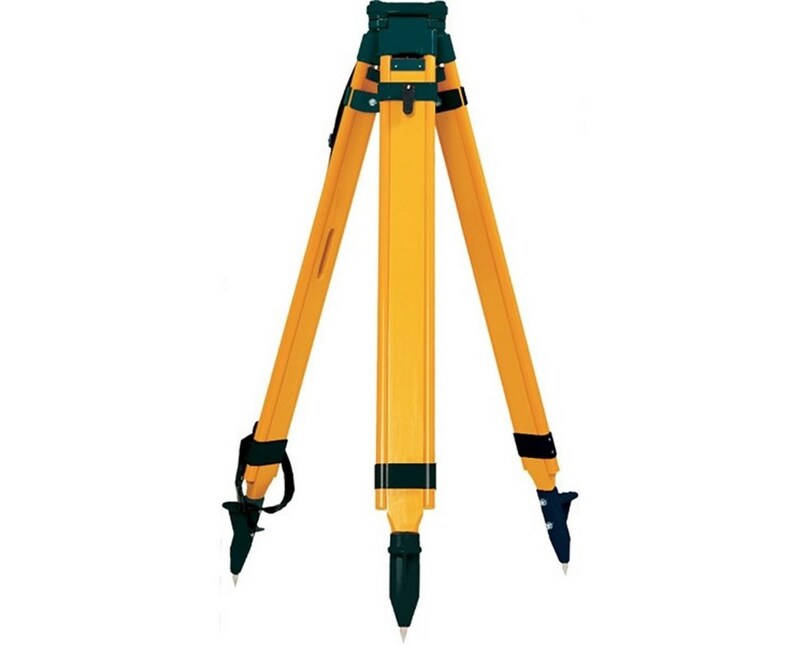 The Sokkia 724252 Heavy Duty Wood Tripod weighs 20 pounds and comes in yellow with black hardware. It includes a tool kit with a handy allen wrench, as well as a protective head cap. There is also a plumb bob hook, a retaining strap to hold the device when in storage, and a fully adjustable shoulder strap.